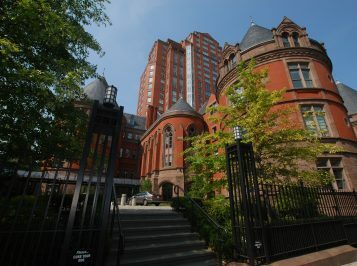 Built in 1884, “The Castle” sits at the northwest corner of Central Park West between 106 & 105th Street its distinctive landmark base was restored in 2004 & re-developed with a 26-story tower add-on. Amenities include a 24-hour door attendant, concierge service, a live-in super, Landmark Club & Spa with a health club & pool, business center, valet parking garage, children’s playroom, wine storage, bike room & a huge landscaped garden. Great location, Right nearby is Whole Foods, Gristedes, great restaurants & numerous transportation options like the B & C trains at 103rd St. and M10, M7 & M116 buses at your front door. Near Columbia University area, a few blocks away to St. John de Divine Cathedral, and much more.